ATLANTA – Porsche Cars North America, Inc. has officially opened the doors to its new fine dining “Restaurant 356” in Atlanta, Georgia. 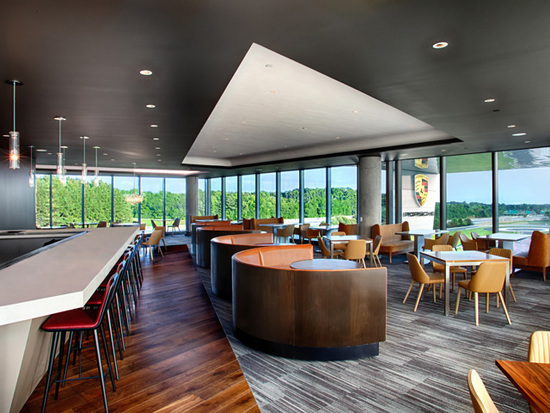 The restaurant sits on the complex of the Company’s new $100 million Porsche Experience Center and headquarters. With panoramic views of the world-class 1.6-mile driver development track, 356 is sure to become a premier dining destination for local patrons and for visitors to Atlanta. Located on the second level of the Porsche Experience Center, 356 offers a distinct view of aircraft taking off and landing at Runway 826 Right at the Hartsfield-Jackson Atlanta International Airport. Innovative dishes are served inside a dining room featuring a contemporary decor. 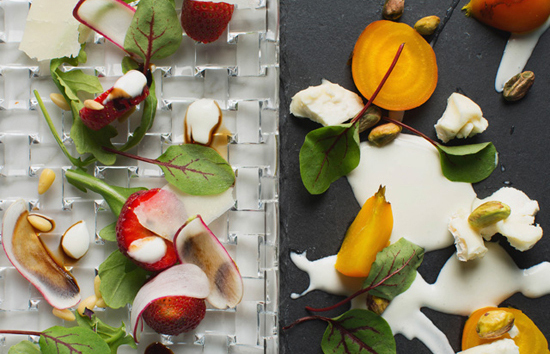 The seasonal menu showcases a refined world cuisine made with locally farmed and foraged ingredients. A vast wine selection pays tribute to the great winegrowing regions of the world. Classically-focused cocktails are available for those favoring tradition. At the helm of Restaurant 356’s purist approach to food is Executive Chef Kyle Forson, former executive sous chef at The Spence. 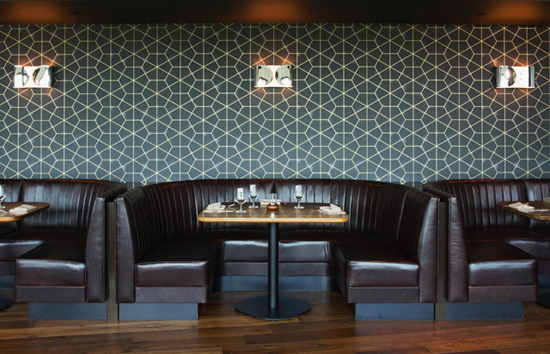 Forson focuses on carefully hand-crafted dishes that let the quality of seasonal ingredients shine through. While guests can expect to see influences from Forson’s own Polish heritage and experiences with French, Californian, and Southern fare, no single type of cuisine will dominate the menu. “I want guests to enjoy food that enhances the Porsche experience and fuses it with a sense of place,” said Chef Forson. Restaurant 356 is open to the public Tuesday through Saturday for lunch and dinner, and on Sunday for brunch and dinner. Reservations can be made through the restaurant’s website (http://www.restaurant356.com) or via OpenTable (http://www.opentable.com/restaurant-356). Restaurant 356 also provides catering and serves as an event venue. In addition to Restaurant 356 and the driver development track it overlooks, the Porsche Experience Center features a classic car gallery, restoration center, human performance center, and driving simulator lab. A state-of-the-art business center features 13,000 square feet of conference and event space. The complex has been specifically designed as a destination for the public, where an estimated 30,000 guests are expected to visit each year.